The in-depth, detailed, hands-on manual on Express.js, the most popular Node.js framework. Will get you up and running fast and save you time. Understand the concepts, learn the best practices. Become an Express.js expert today! The in-depth, detailed, hand-on manual on Express.js, the most popular Node.js framework. Will get you up and running fast and save you time. Understand the concepts, learn the best practices. 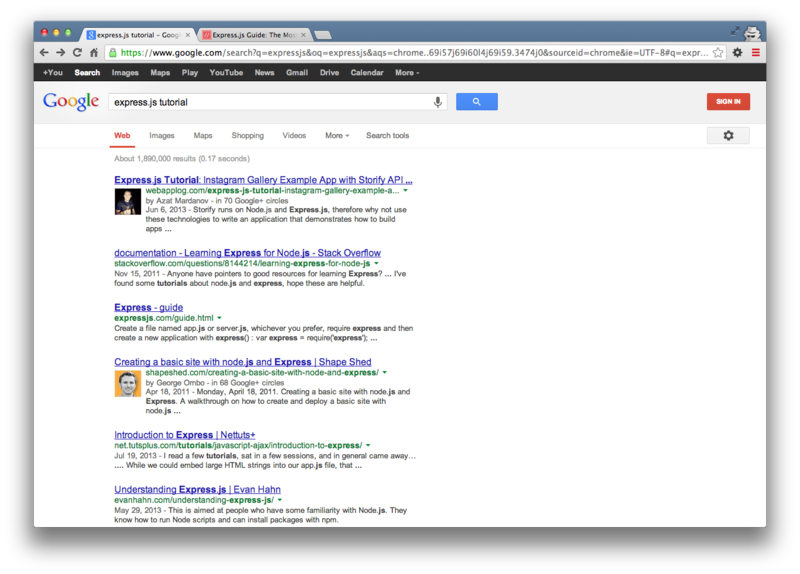 Become an Express.js expert today. Express.js API reference, quick start guides, 20+ meticulously explained examples and tutorials — over 270 pages with more than 60 illustrations. Get the full package and the print book from http://expressjsguide.com. What is ExpressWorks Based On?